Dubai Government Workshop has signed an agreement with the Rochester Institute of Technology - Dubai (RIT Dubai), for cooperation across the efforts to develop highly qualified and skilled human resources for the future. The memorandum of understanding (MoU) was signed by Humaid Sultan Al Mutaiwee, Dubai Government Workshop (DGW) CEO and Dr Yousif Al Assaf, president, RIT Dubai. Both parties agreed on the need to work closely together to provide academic education and executive development for employees, as well as practical training for students based on the highest standards of professionalism and excellence. Al Mutaiwee said, “The signing of this new MoU opens new horizons for us in the move to support the national efforts towards strengthening the perfect investment of human capital to push comprehensive development, particularly, across providing the necessary academic training, executive development and practical training for employees and students, who will benefit from the latest technological innovations of the 21st century. 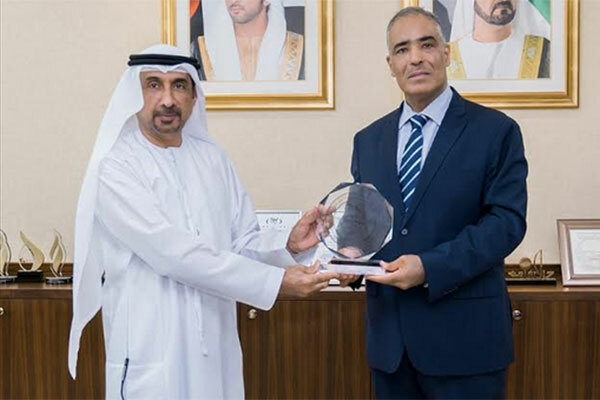 Dr Al Assaf stated: “We are very proud to have signed this new MoU with DGW, which is widely recognized as a pioneer in the adoption of the latest technological innovations in fleet management services. Through this joint cooperation, we seek to open new horizons for the use of joint capacities in academic and executive training and scientific research to serve our joint aspirations of serving the community and support the country's development process.